Clarksville, TN – On May 28th, 2012, around 3:20am, Clarksville Police were called to 121 Bluegrass Road about a Building Supply Truck that had crashed into a house. 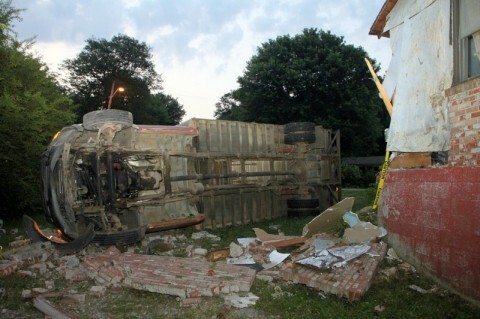 When officers arrived on the scene, they found a truck had left the roadway, hit a tree, continued on, crashed into a house, and then overturned in the front yard. There was a large portion of the front brick on the house torn away. 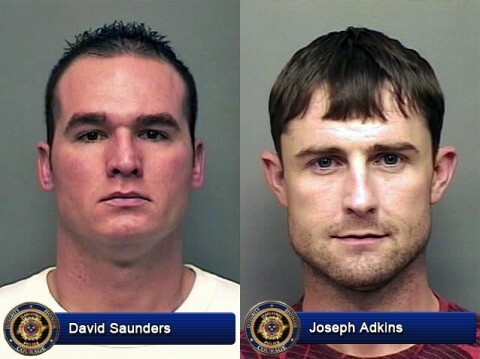 Clarksville, TN – On December 22nd, 2011, the Clarksville Police Department put out a bulletin that they were looking for two men; David Preston Saunders and Joseph Brent Adkins for shoplifting. Sanders was taken into custody December 23rd after shoplifting at Kroger’s on Dover Crossing. Last night, December 27th, around 7:00pm, Joseph Brent Adkins turned himself in at the Montgomery County Jail. 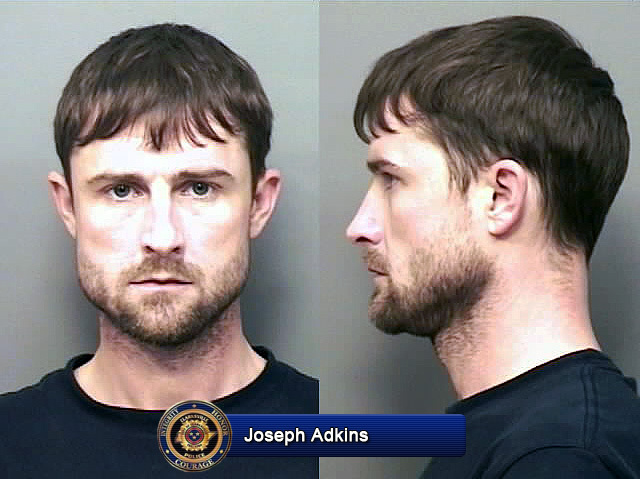 Clarksville, TN – Clarksville Police are still looking for Joseph Brent Adkins (W/M, DOB: 3/29/79), an AWOL soldier, who has six outstanding warrants on File; Two Theft (Felony), 3 General Sessions Capiases, and a Petition to Revoke. He took over $1,800 of merchandise taken from a Wilma Rudolph Boulevard store. 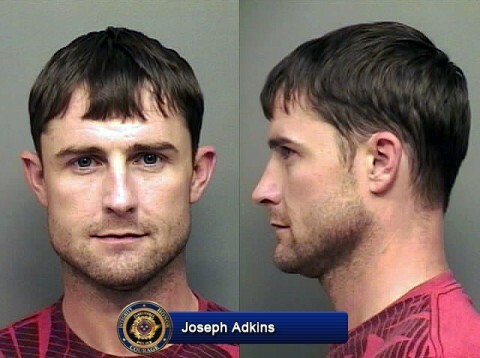 Adkins has been out of jail since October 2011 after serving time for a DUI charge. Adkins was last seen at the Kroger’s at Dover Crossing early Saturday morning, December 23rd. Clarksville, TN – The Clarksville Police Department is looking for two men; David Preston Saunders charged for a July 4th, 2011 Aggravated Robbery of Walgreens released on Bond in August, picked up on December 7th, 2011 for Fraud, released on Bond again and Joseph Brent Adkins released from jail in October 2011 after serving time for a DUI charge. Saunders and Adkins have been seen in Adkins’ 2005 Blue Dodge pickup truck, Tennessee Tag, 476-XMF.